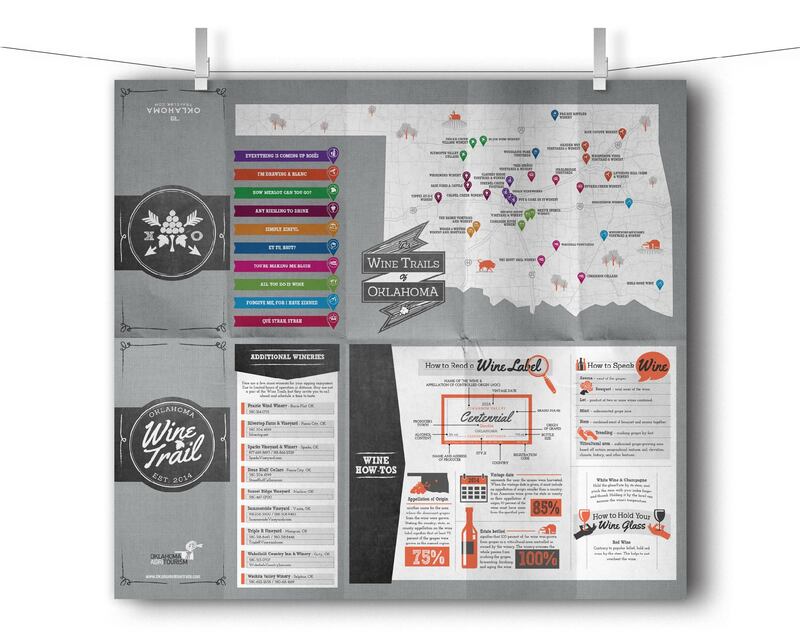 Did you know Oklahoma has a booming wine industry? We also have an abundance of fresh, clean air and expansive countryside. 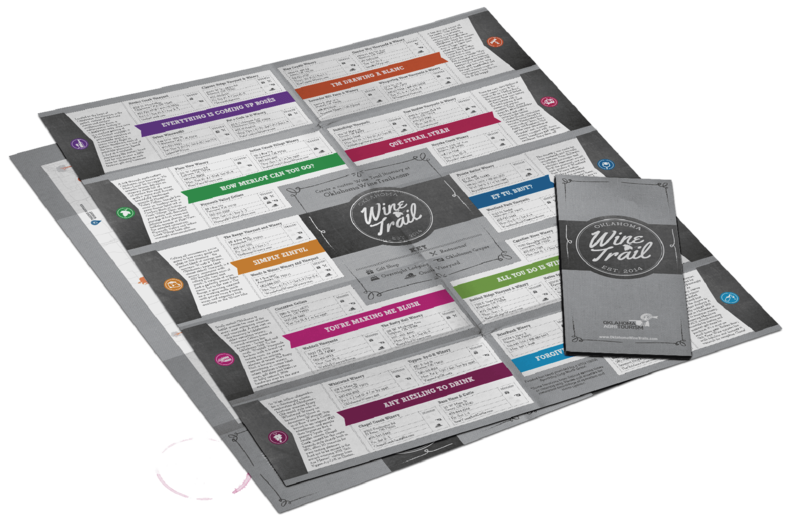 Bring all of those things together and you have an opportunity to create not just great-tasting wines but wine-tasting adventures. 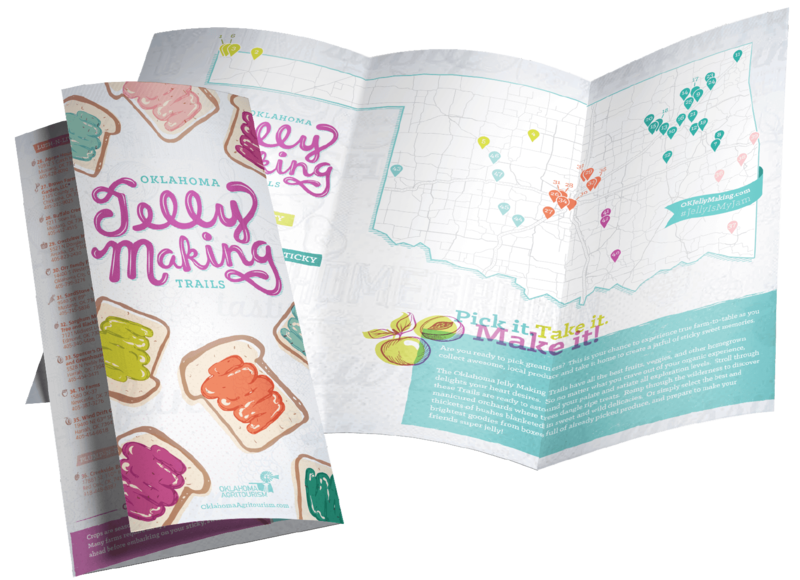 We worked with Oklahoma’s agritourism program to promote 10 new wine trails – beautiful outdoor trails connecting two to four of Oklahoma’s wineries per trail. 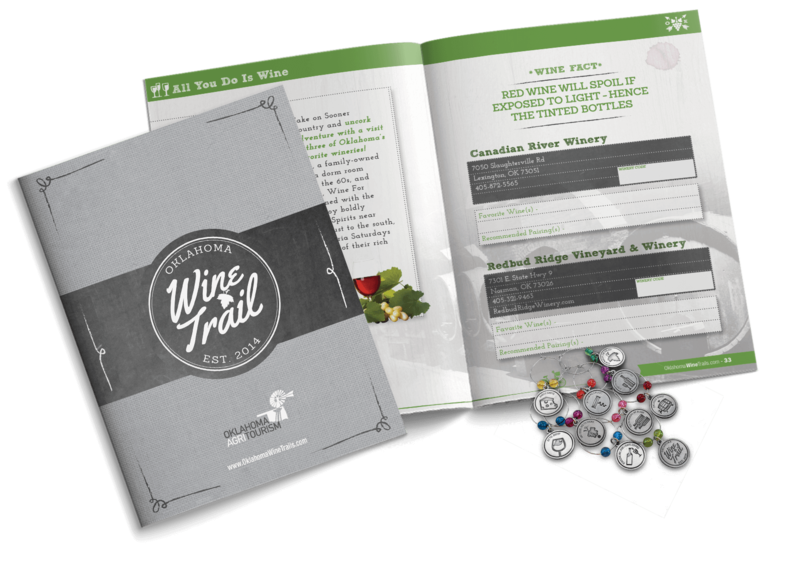 To make participation more interactive, we created maps, passports to be “stamped” at each winery, and a final award of 10 wine charms for completing all 10 trails. 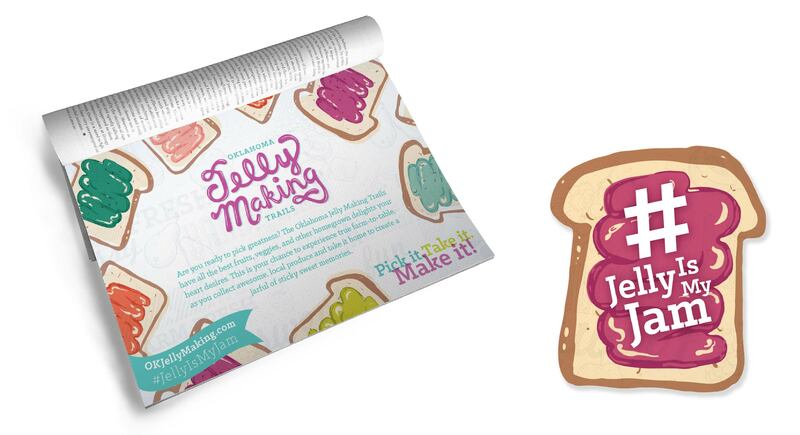 Handmade press kits were distributed to key influencers in lieu of a media buy. 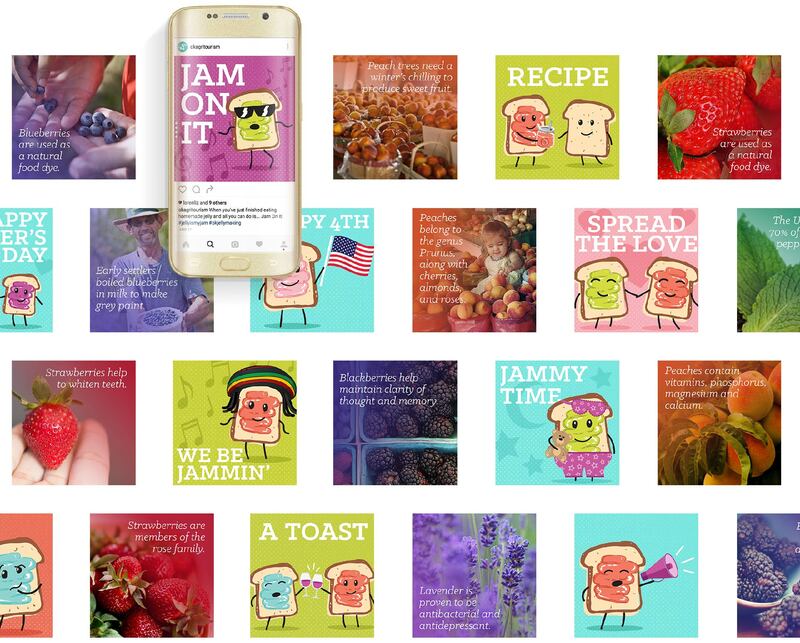 The result: more than 30,000 passports requested and distributed within 7 months and secured funding for the following year. 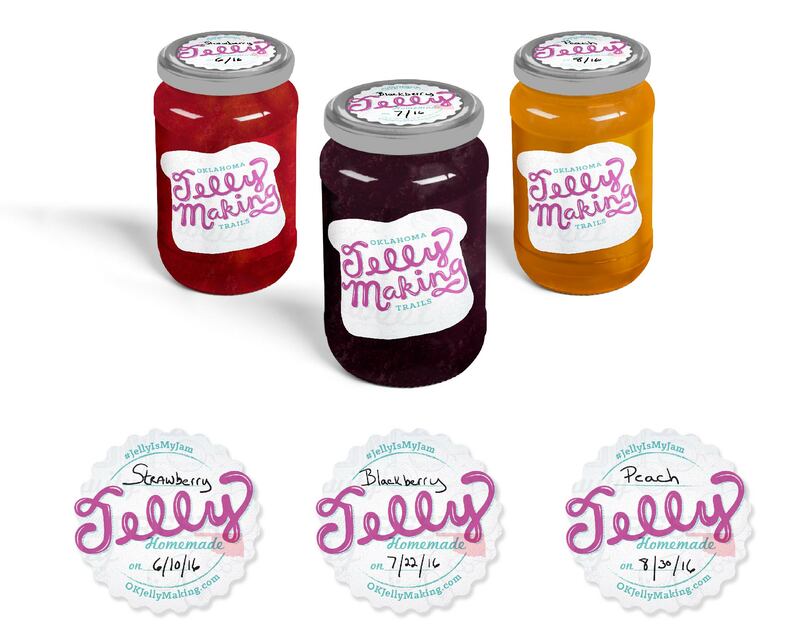 Nothing quite beats homegrown and homemade – and our Jelly Making Trails made it oh-so-tasty to capture locations where farm-to-table experiences could tickle your taste buds. Our Wine Trails lead visitors to the right destinations, set in the beautiful countryside, to sip, sample and relax with Oklahoma’s own wineries and vineyards.